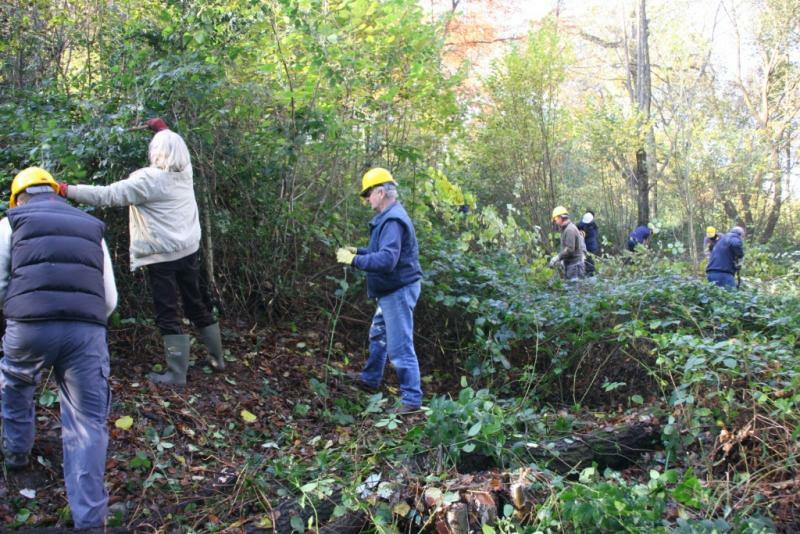 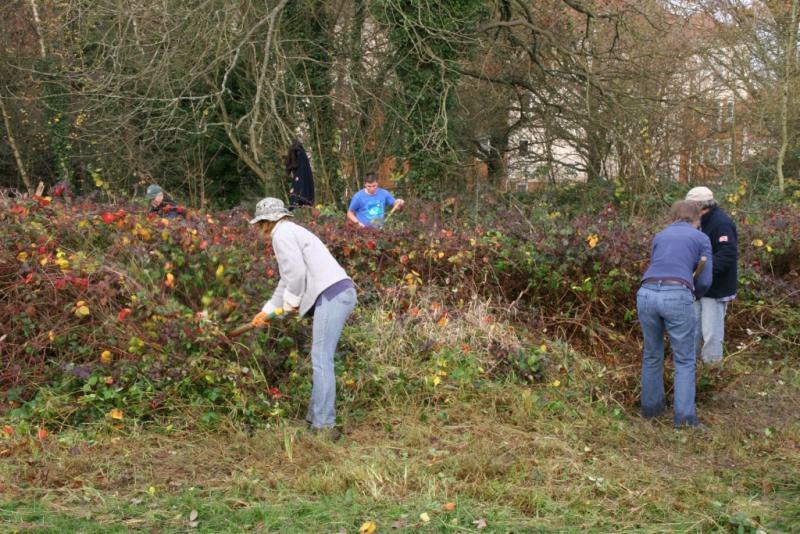 Wednesday 28th November once again saw Kent High Weald Partnership (KHWP) volunteers at work in Hilbert LNR. 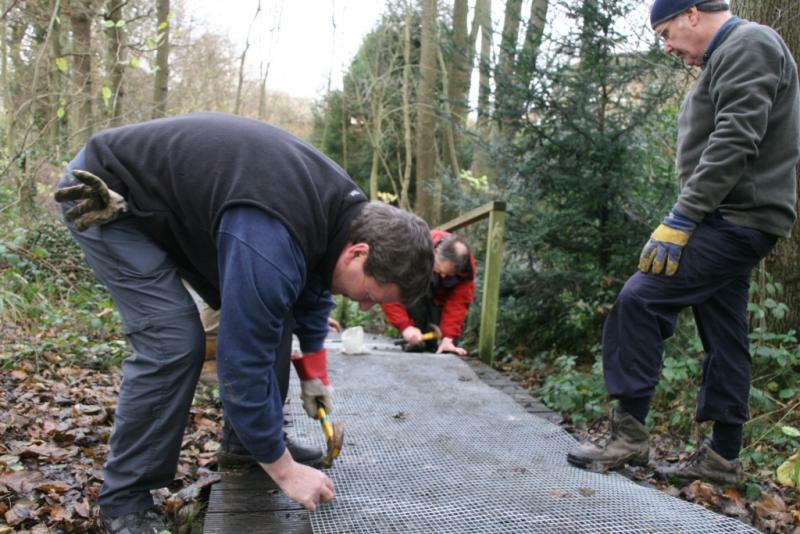 A number of tasks were undertaken, including replacing wire mesh on one of the boardwalks, cutting back scrub and light coppicing. 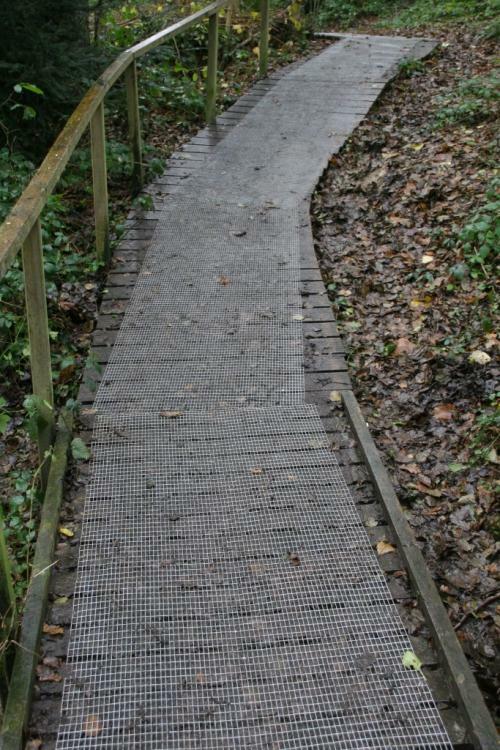 Over time the wire mesh on part of the one of the boardwalks had been worn away and, with the coming of winter, it had become very slippery. 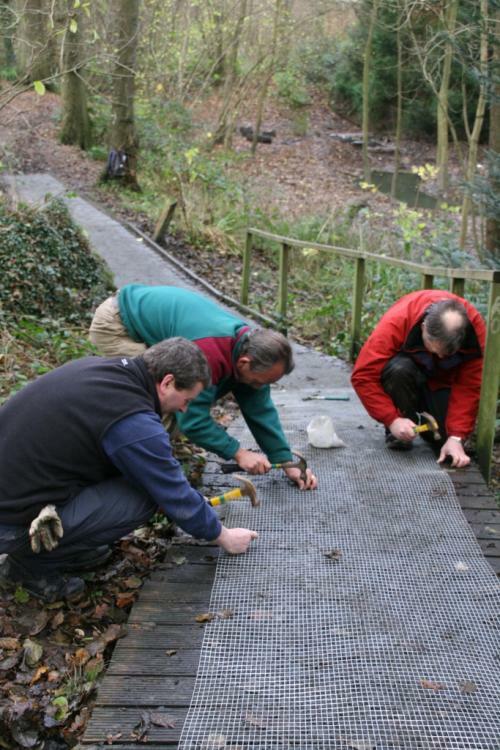 Volunteers replaced a 30m section with a heavy duty gauge of wire mesh, which has improved the grip on the boardwalk, particularly on the sloping section. 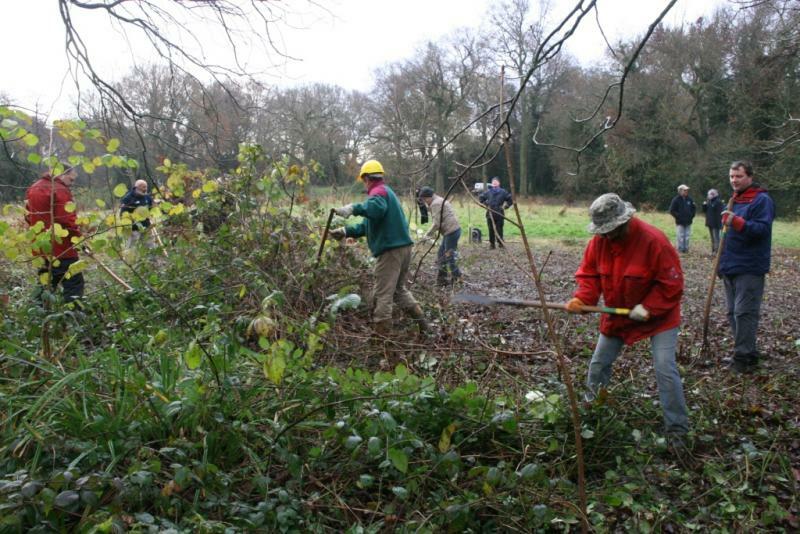 Volunteers also “scrub bashed” an area along the edge of the woodland, in order to open it up to the sunlight and encourage woodland wildflowers. 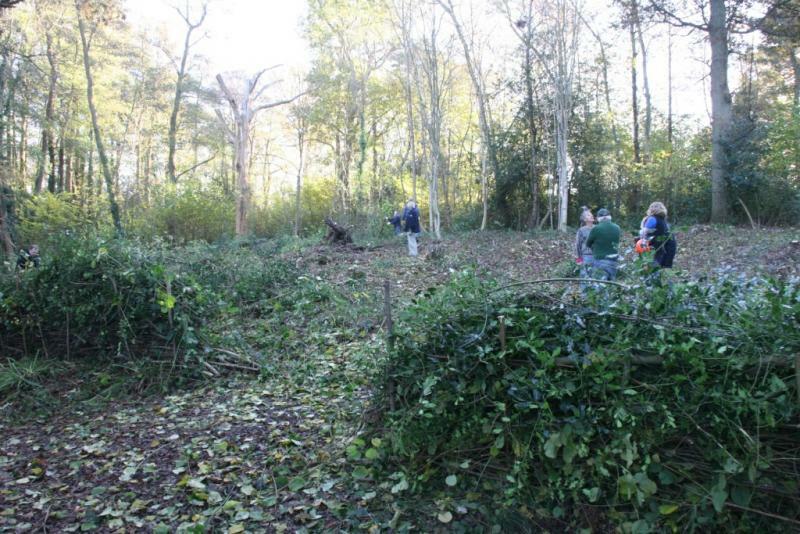 The scrub that was taken out was added to the existing dead hedge again creating habitat for invertebrates and other wildlife. 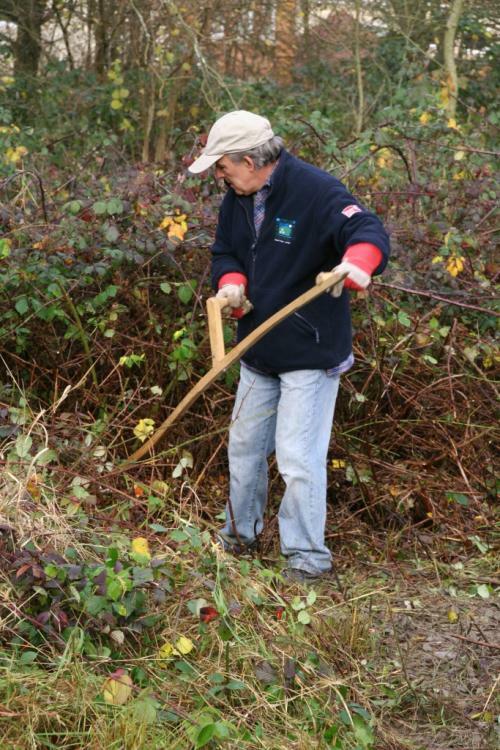 There is an ongoing programme of management by the KHWP in the LNR, with further volunteer days already booked for 2013. 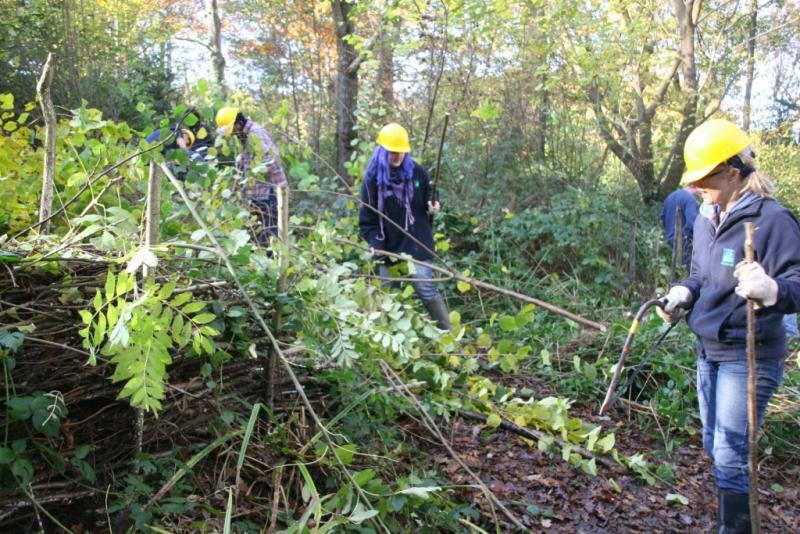 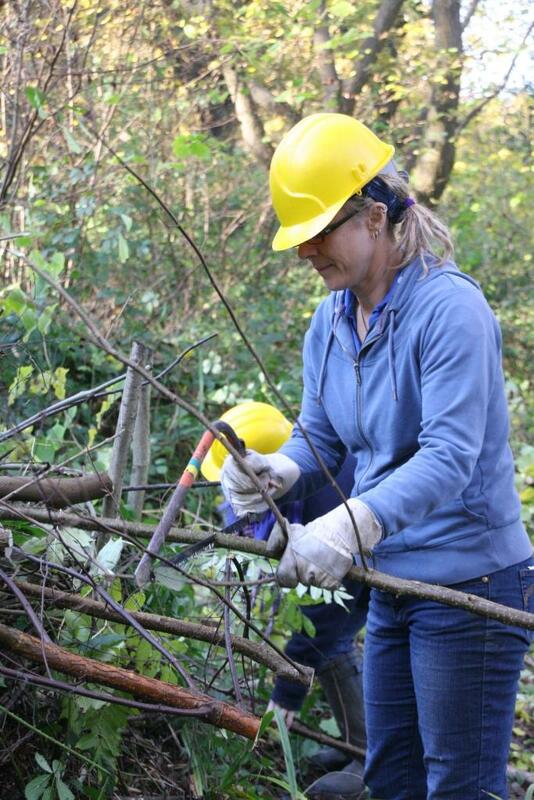 Wednesday 14th November saw a group of over 30 volunteers join the Kent High Weald Partnership (KHWP) to undertake a day of coppicing in an area of Roundabout Wood in Hilbert LNR. 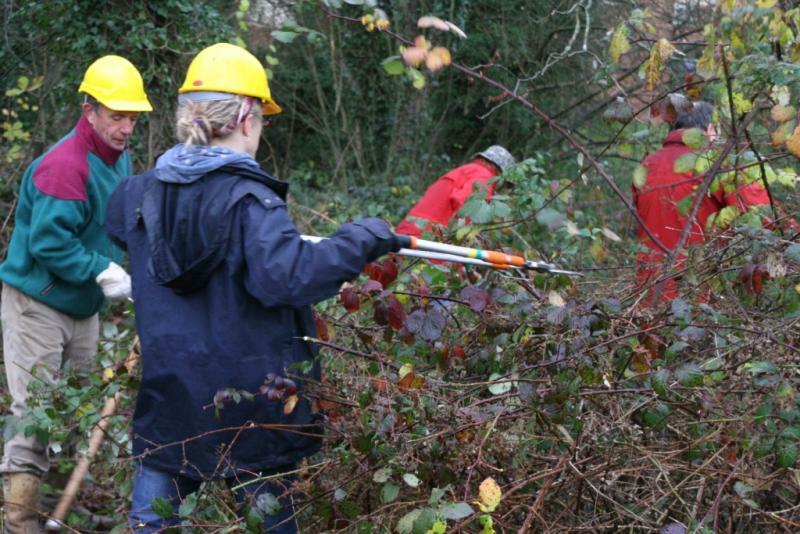 The volunteers used traditional management techniques in clearing areas of trees and scrub to open them up to more diverse woodland habitat. 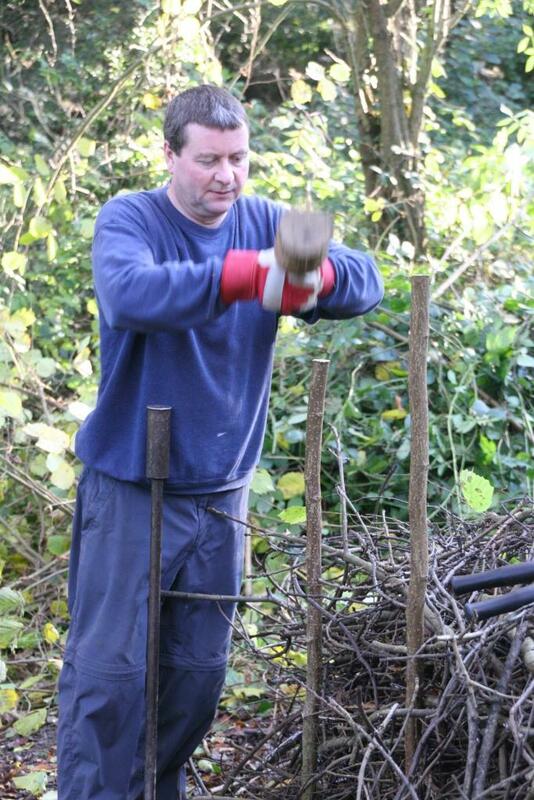 This allows the trees to re-grow and with repeated coppicing can extend the life of trees by hundreds of years. 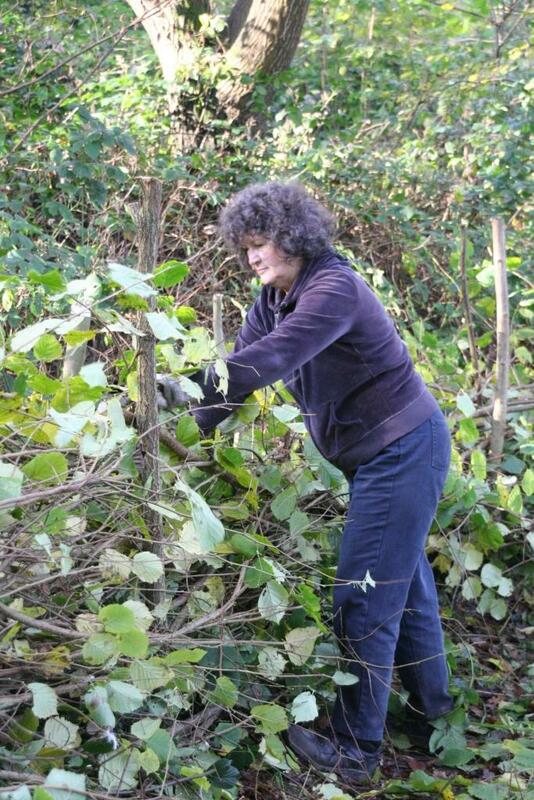 As the cut wood and scrub cannot be burnt or removed from the site, the volunteers used it to create a dead hedge. 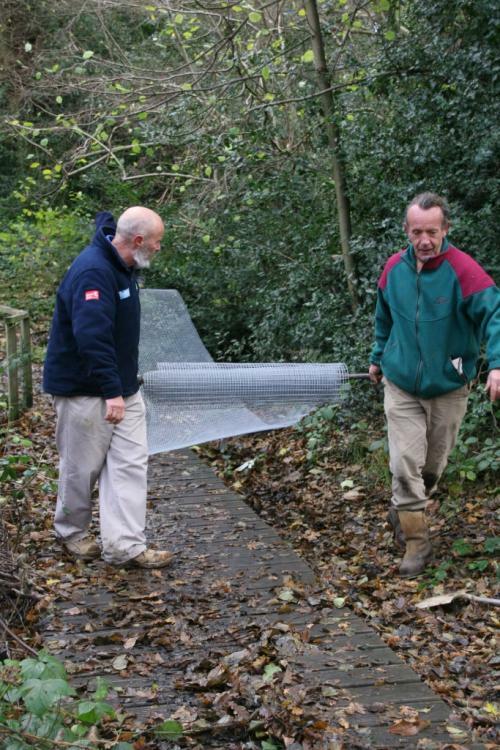 This provides a home and food source for numerous wildlife including invertebrates, small mammals, reptiles and birds. 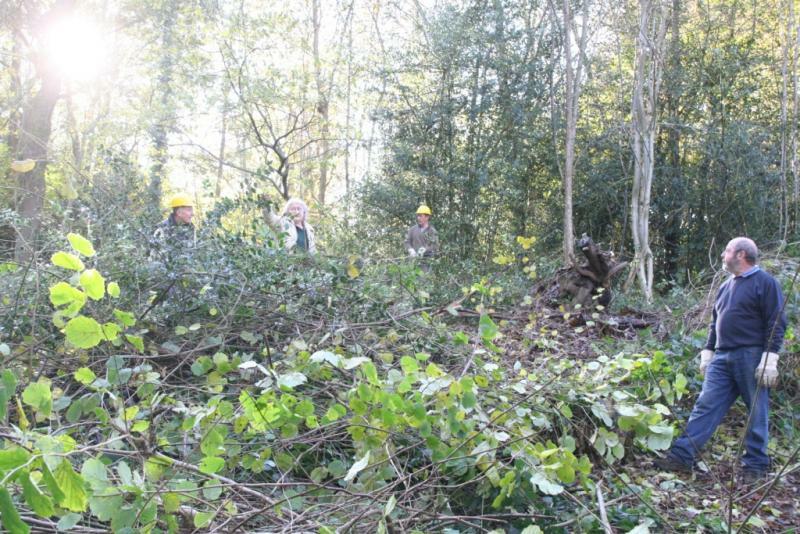 The day was part of the ongoing coppicing programme, with the aim of re-establishing and maintaining the cycle in the woods, so look out for further volunteer days in the near future. 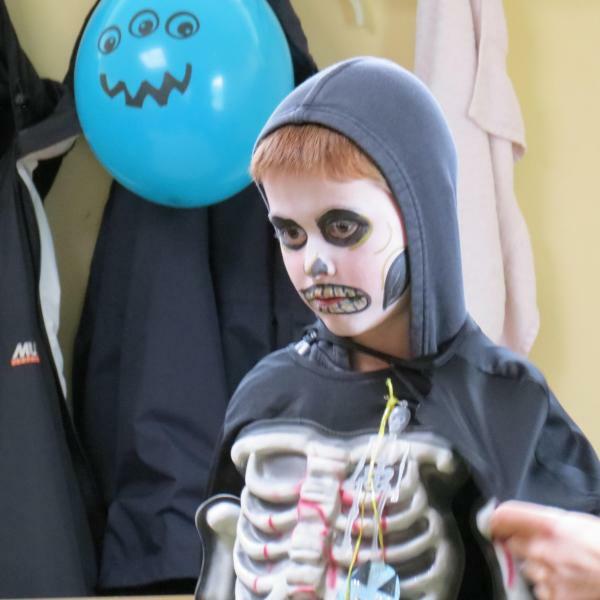 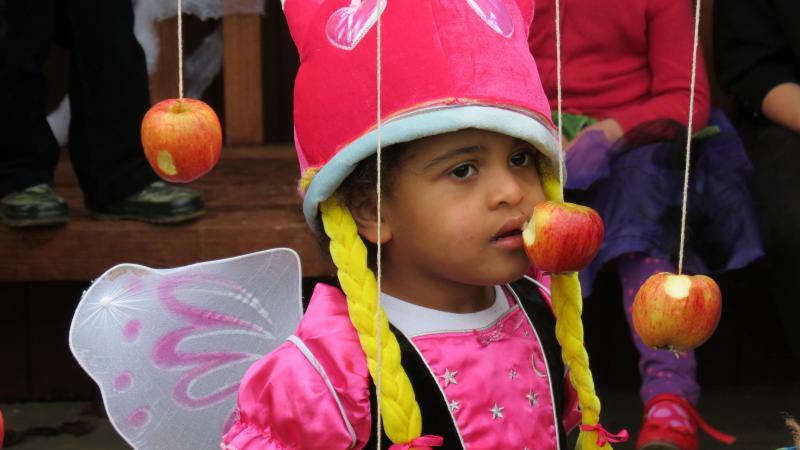 We held our first Children's Halloween party appropriately on Wednesday 31st October, in the Bowls Pavilion. 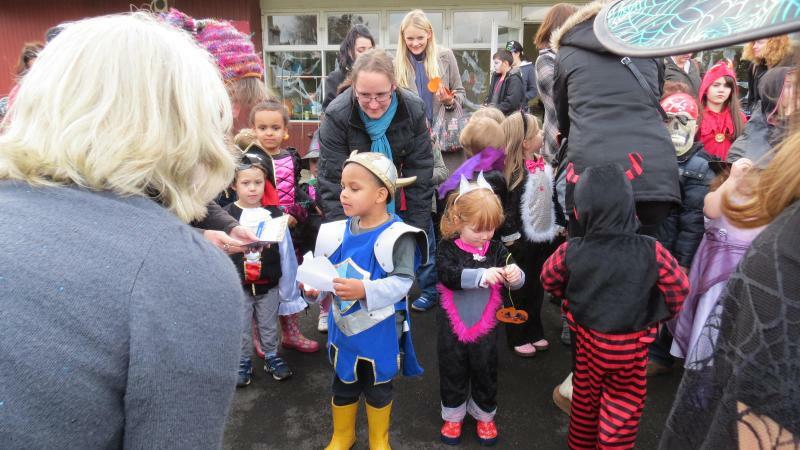 This was a very well attended event: we estimate in excess of 60 children. 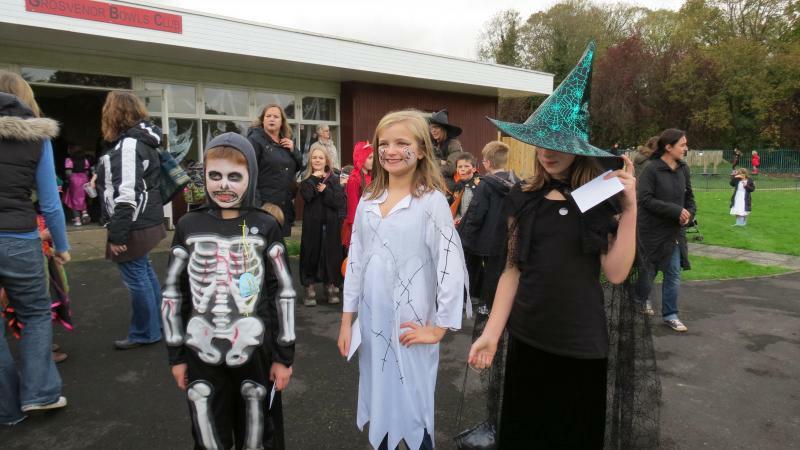 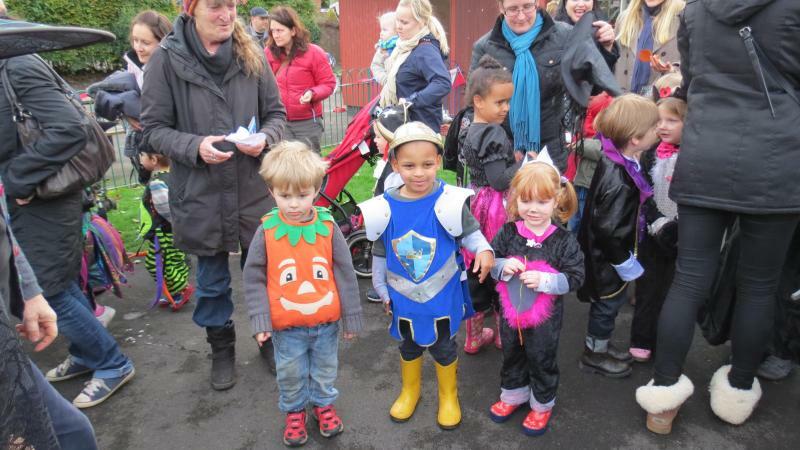 Many of the children came in fancy dress for the competition, and there were several entries for the carved pumpkin competition, won by Louis Kinder with his 'spider man'. 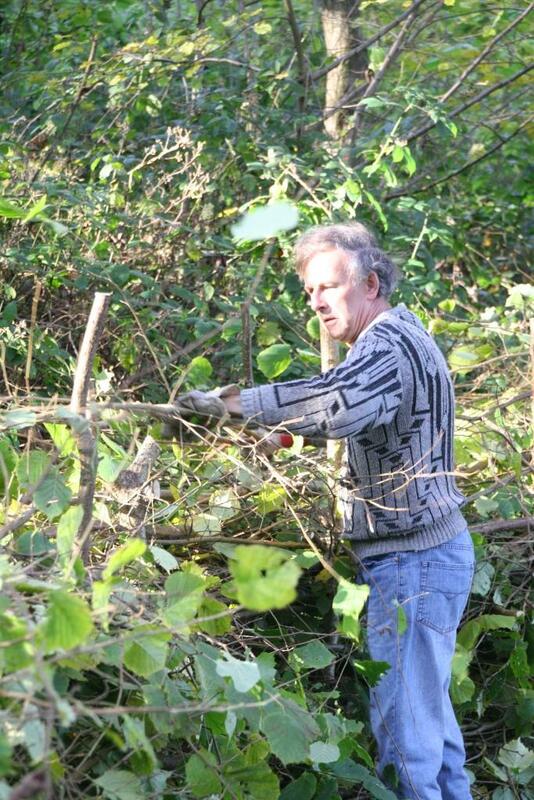 We laid on refreshments, with blood sandwiches and dead fly biscuits. 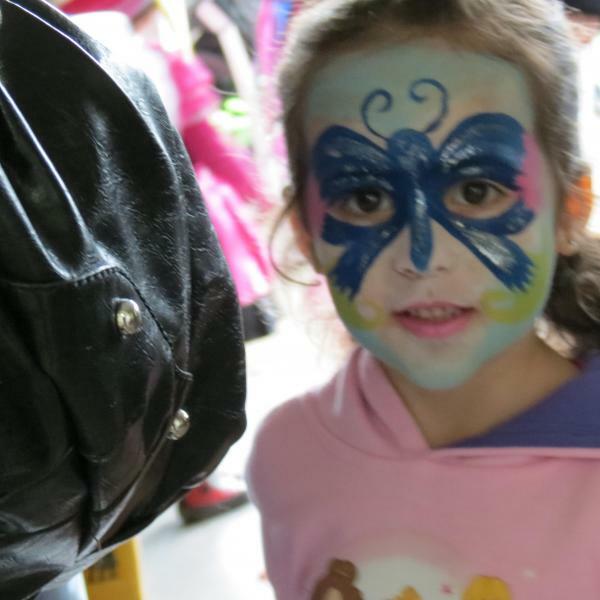 The activities were crafts, apple bobbing, “guess what's in the box” and the ever popular face painting, from Kim and Alice of Activities Plus. 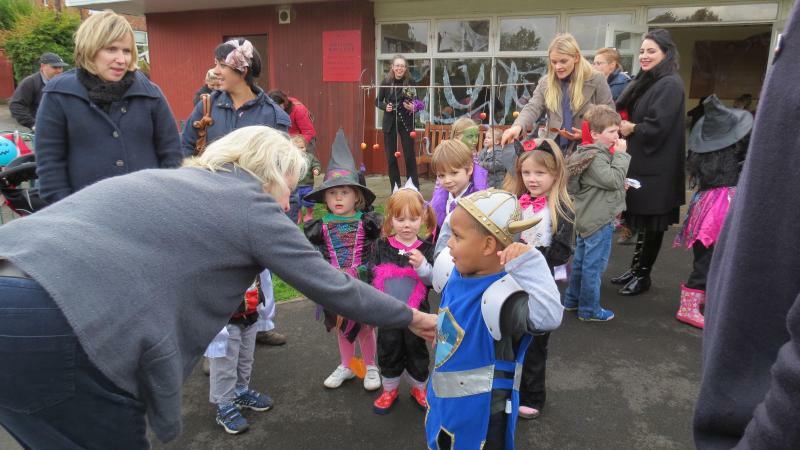 The fine but chilly weather meant lots of children could let off steam with a run around the playground, and parents were able to sit outside and enjoy hot coffee from 'Panini on the Park'. 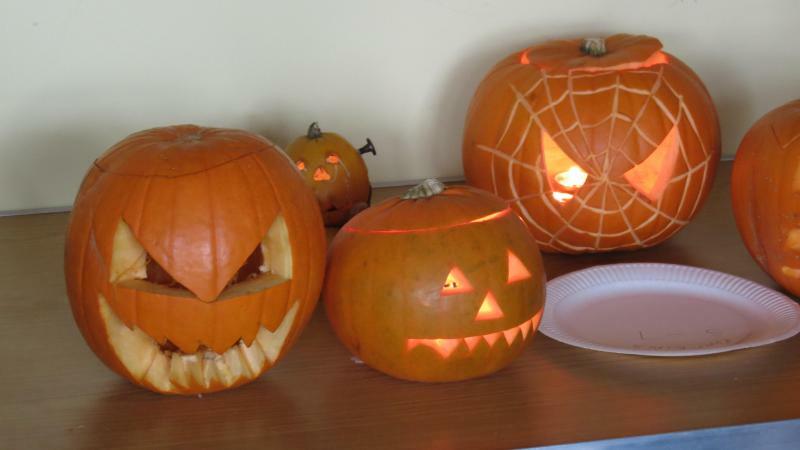 Thanks to everyone that came to our cobwebby den, see you again next year!